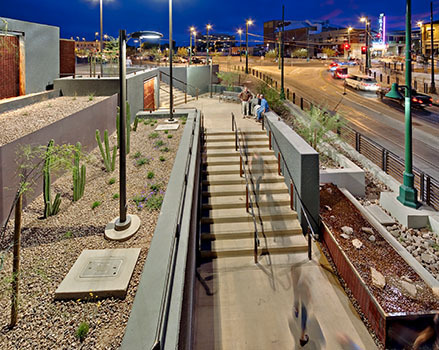 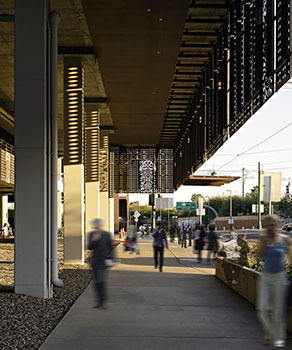 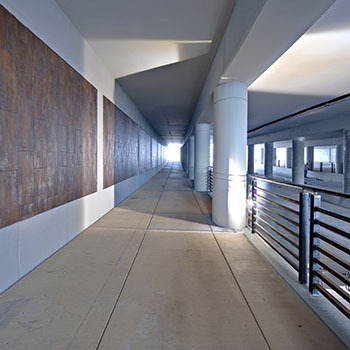 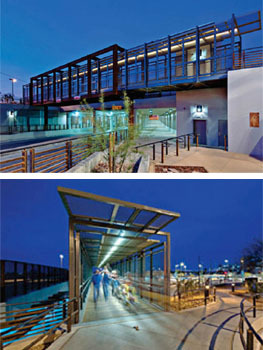 The pedestrian landscape around the revitalized 4th Street Underpass includes an inviting, 20' wide walkway lined with panels of local Tucsonans' portraits, two pedestrian bridges (with Design Build Collaborative), and a grand staircase with a fountain by Kevin Osborn. 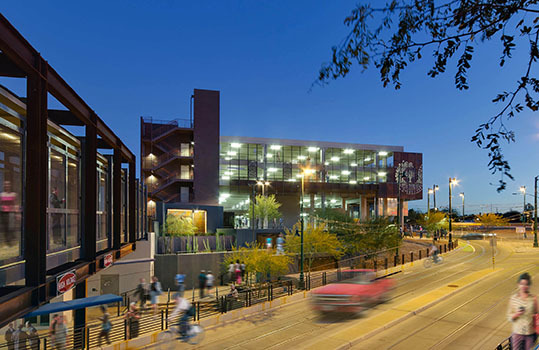 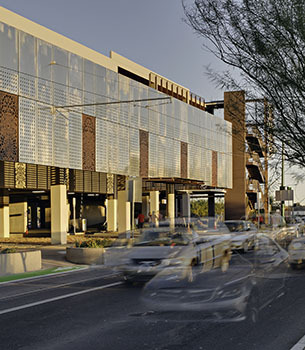 To spearhead the revitalization of the area, the City of Tucson built a 4 story parking garage on the parcel created by our revision of the underpass plans. 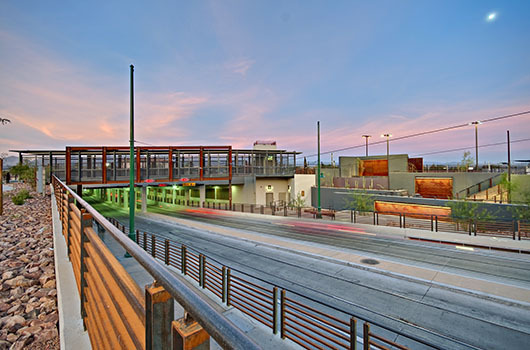 The water-cut facade panels developed in collabortaion with local artist Daniel Martin Diaz make this utilitarian structure an urban highlight with a distinctive Tucsonian feel.